•	WHO? Isuma Distribution International Inc., with Nunavut Independent Television Network (NITV), Municipality of Igloolik, Nunavut Dept. of Culture, Language, Elders and Youth, Carleton Centre for Community Innovation, Mount Allison University and LKL International. Project leaders, Zacharias Kunuk and Norman Cohn. Human Rights Assessor, Lloyd Lipsett. •	WHAT? In complex multi-lateral high-stakes negotiations, Inuit consensus - deciding together – may be the strongest power communities can bring to the table with governments and transnational corporations working together. DID uses internet, community radio, local TV and social media to amplify Inuit traditional decision-making skills at a moment of crisis and opportunity: as Inuit face Environmental Review of the $6 billion Baffinland Iron Mine (BIM) on north Baffin Island. Through centuries of experience Inuit learned that deciding together, called angjqatigiingniq [ahng-ee-kha-te-GING-nik] in Inuktitut – a complex set of diplomatic skills for respectful listening to differing opinions until arriving at one unified decision everyone can support – is the smartest, safest way to go forward in a dangerous environment. Through DID, Inuit adapt deciding together to modern transnational development – to get needed information in language they understand, talk about their concerns publicly and reach collective decisions with the power of consensus. Inuit consensus then is presented in a multimedia Human Rights Impact Assessment (HRIA), looking at the positive and negative impacts of the proposed mine in terms of international human rights standards and best practices, to the regulatory process, online through IsumaTV and through local radio and TV channels in all Nunavut communities. Baffinland Iron Mine is 70% owned by Luxemburg-based ArcelorMittal, the world’s largest steel-maker owned by Lakshmi Mittal, the 21st richest man in the world (Forbes Magazine). 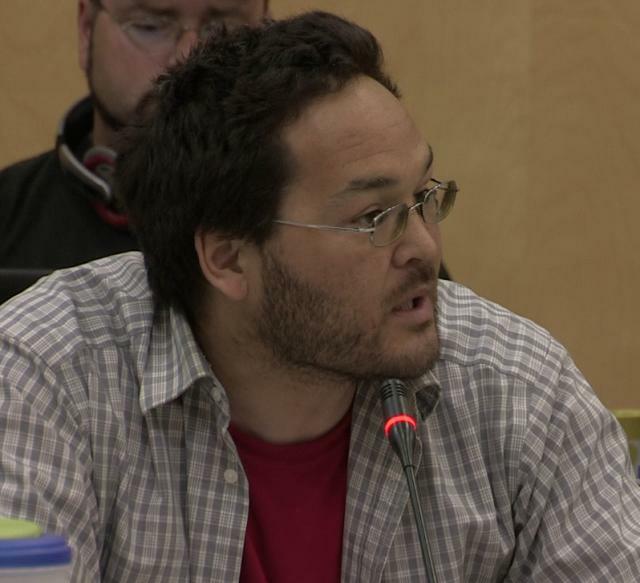 The Environmental Review by Nunavut Impact Review Board (NIRB), and an Inuit Impact and Benefits Agreement (IIBA) negotiated by Qikiqtani Inuit Association (QIA), both require Inuit to be informed and consulted under terms defined by the Nunavut Land Claims Agreement (NLCA), Canada’s Supreme Court and the indigenous peoples rights standards in Canadian and international law. •	WHERE? The open-pit mine at Mary River is in the middle of north Baffin Island between Pond Inlet and Igloolik. BIM will transport iron ore 150 km by railroad to a deep-water port at Steensby Inlet for daily supertanker transport through Foxe Basin to Europe and Asia. Igloolik, Pond Inlet, Arctic Bay, Hall Beach, Clyde River, Kimmirut and Cape Dorset are the seven directly impacted communities. North Baffin Island is home to a large migratory caribou herd; Foxe Basin is the calving ground of Canada’s largest walrus herd; archaeology in Foxe Basin and Steensby Inlet indicate Inuit habitation and use of the region for four millennia. •	WHEN? From May 2012 to June 2013 DID media tools inform, consult and assist Inuit to make decisions together in the seven impacted Inuit communities, while LKL International conducts, submits and publishes its HRIA. 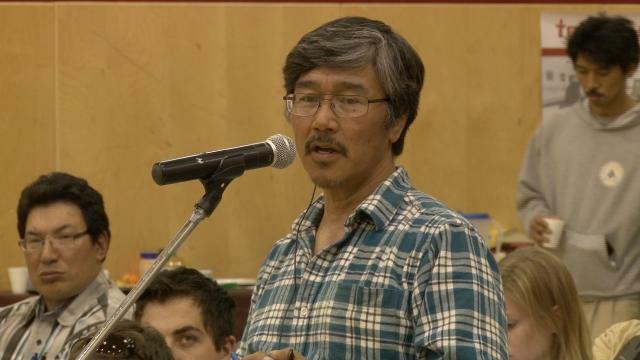 NIRB begins public hearings on BIM’s Final Environmental Impact Statement (FEIS) July 16, 2012 in Iqaluit, Igloolik and Pond Inlet, leading toward a final decision on the project estimated by 2013. 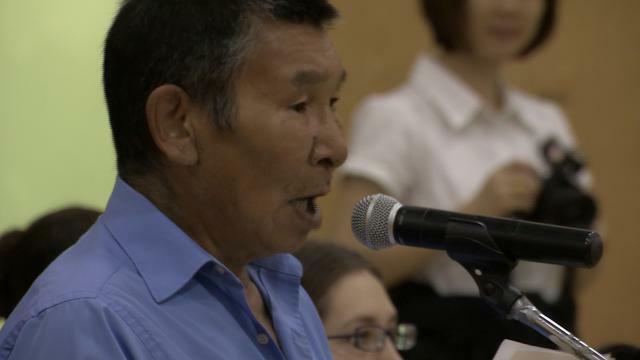 DID and the HRIA allow Inuit to participate meaningfully in public hearings and decision-making during the year ahead. Language and cultural differences make it difficult for transnational corporations to meet these standards with oral-language Inuit who don’t read English or Inuktitut translations. As multimedia internet – Youtube, Facebook, Twitter, Skype – increases democratic participation worldwide, low bandwidth and slow internet in Canada’s north still limit their use by Inuit. 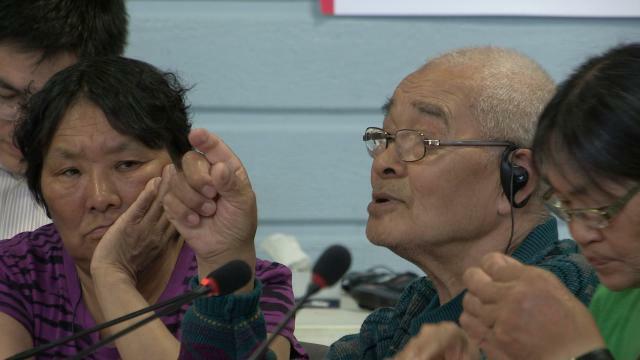 One-half of 1% of television available in Baffin Island communities is in Inuktitut. Internet is 500 times behind southern standards in cost-per-kilobyte – 100 times slower at five times the price. DID adapts low-cost video, mobile and internet technologies to Inuit communities to make possible a higher standard of meaningful consultation, genuine dialogue and informed consent in oral Inuktitut. The potential for democratic participation now is greater than ever. As an upsurge of development due to global warming threatens to overwhelm communities in the resource-rich Canadian Arctic, how can Inuit in those communities be more fully involved and consulted in their own language? What tools are needed to make knowledgeable decisions? Communicating in writing with oral cultures makes ‘consulting’ one-sided: giving people thousands of pages they can’t read is unlikely to produce an informed, meaningful response. Now for the first time internet audiovisual tools enable community-based decision-making in oral Inuktitut that meets higher standards of constitutional and international law, and offers a new model for development in indigenous homelands. To meet these standards Inuit must get clear information in language they understand, talk about it together in their own way and make consensus decisions following the concept of angiqatigingniq, a complex set of social, listening and diplomatic skills for respecting differing opinions patiently until finding one unified decision everyone can support. Digital Indigenous Democracy (DID) uses local radio, TV, multimedia and social networking tools to insure meaningful community participation in oral Inuktitut, in public hearings, environmental impact and benefits decisions affecting Inuit for generations to come. DID pilots this model at a moment of extreme urgency for Baffin Island Inuit facing one of the largest mining developments in Canadian history. Baffinland Iron Mine (BIM) is a $6 billion open-pit extraction of nine major deposits of extremely high-grade iron ore that, if fully exploited, could continue for 100 years. The mining site, in the center of north Baffin Island about half-way between Inuit communities of Pond Inlet and Igloolik, requires a 150 km railroad built across frozen tundra to transport ore to a deep-water port where the world’s largest supertankers will carry it to European and Asian markets. Operating the past several years under a temporary exploratory permit, BIM filed its Final Environmental Impact Statement (FEIS) to Nunavut Impact Review Board (NIRB) in February 2012. 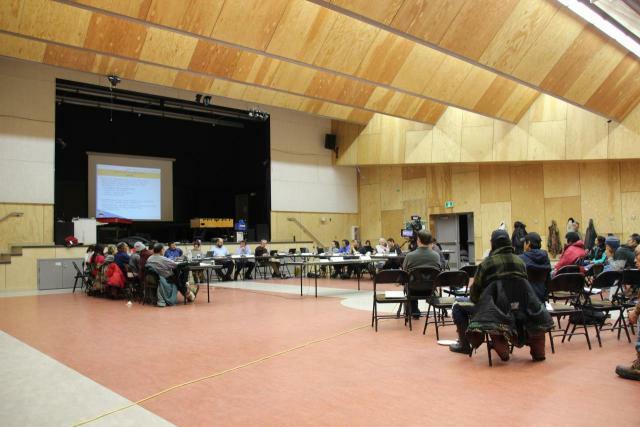 Under considerable pressure from BIM and Government of Canada to expedite a “timely review”, NIRB has scheduled public hearings on the FEIS to begin in July 2012 in Iqaluit , Igloolik and Pond Inlet, with a final decision on the Project in 2013. 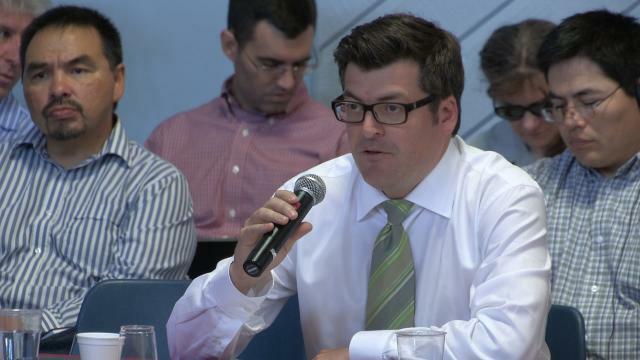 So far, following 20th century rules of consultation and review, discussion of BIM’s operating plan, shared revenues and environmental or social impacts on Inuit has been mostly between NIRB and BIM, a 70% foreign-owned corporation, and with BIM’s local partners, that is, the governments of Canada and Nunavut, and the agencies representing the Nunavut Land Claims Agreement (NLCA), Nunavut Tunngavik Inc. (NTI), and its Baffin regional arm, Qikiqtani Inuit Association (QIA). Confidential negotiations have defined royalty relationships and business opportunities once the Project is approved, with the result that BIM’s partners, representing Inuit interests, may be financially implicated in a positive result. 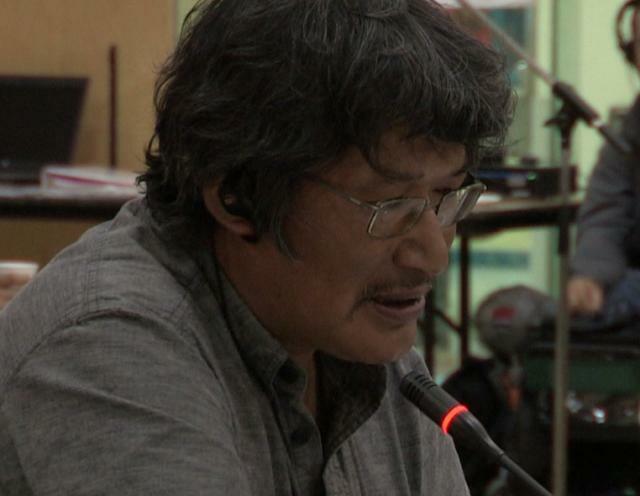 So far, Hamlet Councils and Inuit in the seven most impacted communities have not been adequately informed, consulted or included in the decision or deal-making. QIA, paid by BIM, established a 42-member Baffinland Committee of six Inuit in each of the seven communities representing different local organizations, e.g. Hamlet Council, Hunters and Trappers Organization etc. Local Baffinland Committee-members, many of whom are unilingual in Inuktitut, meet to discuss original English-language documents received from BIM, NIRB and QIA, with the aid of written Inuktitut ‘summaries’ prepared by QIA that most Inuit cannot read. While some local Committee-members may believe they should pass information on to their communities, and gather comments to feed back to QIA and BIM, the Committees have not been provided with a clear mandate to do this, nor any financial or communication tools to carry it out. Despite these limitations, local Committee meeting minutes show members concerned about many aspects of Baffinland’s plan, but especially about BIM’s unilateral decision to build the deep-water port at Steensby Inlet and ship iron ore by supertankers daily through the Foxe Basin. 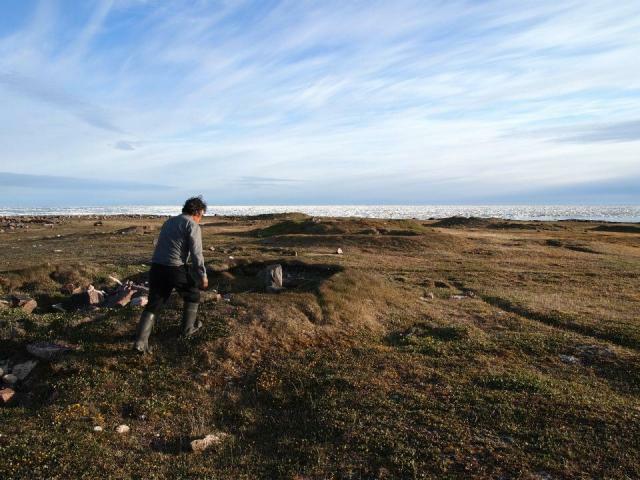 Inuit Oral History and modern scientific evidence both agree: people from the region of north Baffin Island have been living and hunting walrus in Foxe Basin, and caribou in Steensby Inlet, for 4000 years. Foxe Basin, known to Inuit as Ikiq, is the home and calving ground of Canada’s largest walrus herd, a rich ecosystem of marine mammals like seals, bowhead whales and polar bears, and nesting grounds for bird species including gyrfalcons, king eider ducks, snowy owls, snow geese and swans. Steensby Inlet, known to Inuit as Kangiqlukjuaq, on the south-west coast of north Baffin Island is the Inuit ‘timbuktoo’ of the region, a major meeting crossroads on the nomadic roadmap Inuit caribou hunters followed every year for 40 centuries. This summer Zacharias Kunuk, Cannes award-winning filmmaker, Igloolik Hamlet Councilor and Officer of the Order of Canada, will hunt walrus and caribou in the same places and same ways as his father, grandfather and their grandfathers before them since Moses led the Israelites out of Egypt or Agamemnon led the Greeks to sack Troy. Born in 1957 in a sod house at Kapuivik between Ikiq and Kangiqlukjuaq, Zacharias – who never saw a white man until he was nine years-old and now Facebooks with friends from Igloolik to Tokyo – is only one generation removed from the same Inuit who were contemporaries of The Old Testament and The Iliad. In the mysterious reality of today’s quantum Space-Time, what does this really mean? Is it possible to imagine people that old, whose knowledge and experience we would revere that much, walking the earth in the 21st Century? And in that case, with information technologies available today, what could they tell us? What can we learn from them? How should we listen? The ancient skill of consensus decision-making, named angiqatigingniq [ahng-yee-kha-te-GING-nik] in the Six ‘Commandments’ of traditional Inuit knowledge called Inuit Qaujimajatuqangit or IQ, enabled small groups of people to survive and thrive for 4000 years in the world’s harshest climate. 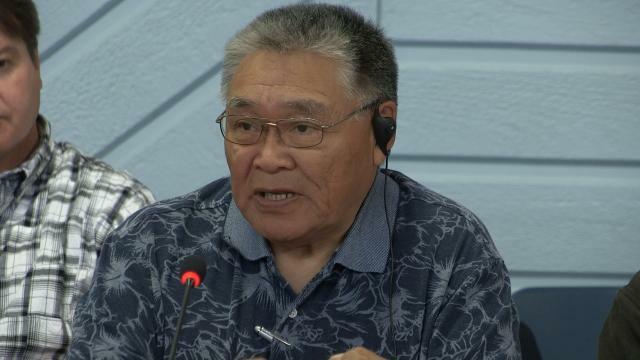 Inuit learned the hard way, through experience, that the safest way to go forward in a dangerous environment is by patiently listening and respecting differing opinions until one unified decision emerges everyone can support. The other five IQ commandments sound equally modern in today’s film, video and social networking 21st century: acquiring knowledge, adapting resourcefully, working together, putting community above the individual and, most timely, what Inuit call Avatimik Kamattiarniq, a concept of environmental stewardship stressing the relationship between Inuit (i.e. people) and their environment. In 2012-13 DID launches a multimedia experiment that brings what appear to be ‘nostalgic’ Inuit values onto the main stage of 21st century current events, affecting not only Inuit but the interconnected planet we all occupy. We call this experiment Deciding Together: Angiqatigingniq Internet Network (AIN), a gift from the past to the future. DID launches Angiqatigingniq Internet Network (AIN) in four Inuktitut-language media activities that improve community radio, local-channel TV, professional filmmaking and high-speed interactive internet across the region of low-bandwidth communities. Each activity gives Inuit tools to gain knowledge and talk together, locally and regionally, about the Baffinland proposal, NIRB review, Inuit Impact and Benefits Agreement (IIBA) and ongoing deal-making among BIM, QIA and the governments of Canada and Nunavut; and to update the process of angiqatigingniq to find decisions together on current issues most important to them. Deciding together, reaching consensus, gives Inuit communities much greater power and influence at the negotiating table. Using DID media tools, Inuit can communicate these decisions and how they made them, publicly and audio-visually, in Inuktitut and in translated versions all Canadians can understand. 1. Nipivut Nunatinnii (Our Voice at Home): Community radio online. 2. Inuktiturmiut (Our Own Language): Local TV channels connected by internet. 3. Angiqatigingniq (Deciding Together): Multimedia social network and Human Rights. 4. Qikiqtani Nunatinnii (Our Baffinland): Film, television, digital mapping, global internet. •	Nipivut Nunatinnii (Our Voice at Home) is a network of community radio stations connected by internet to improve Inuktitut knowledge, participation and decision-making about the Baffinland development. Community radio, playing continually in most homes at most times, is the strongest ‘social networking’ tool in Inuit communities, a billboard for announcements, complaints, storytelling, birthday wishes, electioneering, returning hunters offering fresh meat or parents telling their children to come home from wherever they are. Nipivut Nunatinnii will upgrade equipment and staff training, and connect community radio stations to the internet in Igloolik, Pond Inlet, Hall Beach, Arctic Bay, Clyde River, Kimmirut and Cape Dorset. Live radio streaming gives people online access to local radio from any community and allows all seven Baffin communities to communicate better with each other on issues that impact the whole region. Starting May 7, 2012 in Igloolik, Nipivut Nunatinnii will produce a weekly two-hour call-in talk show to give Inuit more information in Inuktitut on important issues related to Baffinland and an opportunity to call-in, comment and discuss them: how the public hearings will work and who can appear, what impacts and benefits have been negotiated so far, what jobs and training opportunities are proposed, what are Inuit rights and Human Rights under the NLCA and Canadian constitutional law, how does BIM propose to protect walrus, wildlife and priceless archaeological sites at Steensby Inlet’s port site, how to enforce benefits and what happens if a mine closes, and other subjects. Three teams of outside consultants will contribute essential independent information to Inuit – a ‘second opinion’ to BIM’s Final Environmental Impact Statement (FEIS) ¬–through weekly episodes of Nipivut Nunatinnii online: one, led by Dr. Frances Abele, professor in the School of Public Policy and Administration at Carleton University Centre for Innovation; a second team led by Dr. Ian Mauro, Canada Research Chair in the Human Dimensions of Environmental Change at Mt. Allison University; and a third led by Lloyd Lipsett of LKL International, heading the legal team conducting the Human Rights Impact Assessment. Combining the interactive engagement of community radio with the focused discussion format of CBC’s Cross-Country Checkup or NPR’s On Point, Nipivut Nunatinnii online allows Inuit to participate from anywhere in the region or country. As the project develops, and other communities build capacity, local call-in talk shows will be hosted in all of the seven impacted communities. •	Inuktiturmiut (Our Own Language) installs internet-connected local community TV channels in all seven impacted Baffinland communities as well as Iqaluit, Nunavut’s capital and headquarters of many of the organizations most involved in the Baffinland Review Process. Using an IsumaTV MediaPlayer (MP) as a local internet server, audio/video media files play from IsumaTV at high-speed even in low-speed communities with limited bandwidth. Films and videos that normally take forever to load from Youtube or other media websites on a slow internet connection, now load from IsumaTV at high speed wherever MPs are installed. Linking an IsumaTV MP to a local community cable TV channel allows broadcasting 24/7, direct to home televisions, Inuktitut films and videos archived on IsumaTV, or new videos uploaded locally. Local managers select 24/7 video playlists from more than 3000 choices already on IsumaTV, and then switch to live local broadcasting whenever the channel wants to go on the air with a live show. For the past eight months Channel 51 in Igloolik and Channel 14 in Pangnirtuq have provided 24/7 Inuktitut TV to home viewers. IsumaTV/DID expands this service to all seven Baffinland communities plus Iqaluit, starting summer 2012. Local TV news programs will keep Inuit informed and up to date on the environmental review process, filings by Baffinland, legal issues and public hearings scheduled by Nunavut Impact Review Board to start in summer 2012. Video highlights of the NIRB hearings will be played back daily on live local TV shows throughout the summer. •	Angiqatigingniq (Deciding Together) is an improved social networking website starting on IsumaTV/DID in Fall 2012. The new site works interactively like Facebook but is specifically designed for exchanging audio/video media files more easily in slow-speed communities without frustrating delays. Inuit use Facebook today writing almost exclusively in English, even between Inuktitut-speakers. This undermines the widely-held goal of Inuktitut language preservation, and contributes to loss of language at a rate more accelerated than ever. DID serves as a bridge between digital social networking tools like Facebook and analogue oral media like local radio and TV. Combining these in a resourceful adaptation to slow internet service in remote communities, oral-language Inuit can listen and watch local radio and TV, write to each other on Facebook and ‘talk’ in oral Inuktitut using webcams or iPods on DID. Angiqatigingniq (Deciding Together) will collect Inuktitut-language interviews, commentary and oral histories within the framework provided by LKL International for conducting the Human Rights Impact Assessment. DID allows human rights assessors the rare opportunity to ‘listen in’ to ongoing threads of interactive conversation and consensus decision-making on issues raised by the Human Rights review. •	Qikiqtani Nunatinnii (Our Baffinland) is a separately financed feature-length documentary film and interactive multimedia Atlas by Zacharias Kunuk bringing together elders, hunters, families and youth to record Inuit knowledge and points of view on Foxe Basin and Steensby Inlet, the areas most affected if BIM builds its deep-water port on the proposed Steensby Inlet site. Kunuk will lead his Inuit cast and crew on two filmmaking and hunting expeditions during the summer 2012. The first expedition in July films walrus hunting in Foxe Basin as practiced by Igloolik hunters for four millennia and collects oral histories of traditional knowledge from hunters and families about the relationship between Inuit and walrus throughout history. 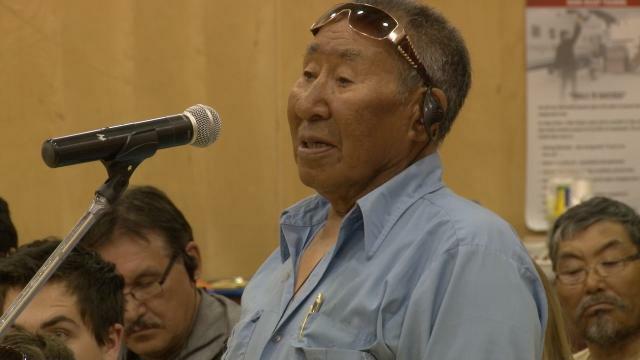 Interviews also record Inuit hunters’ points of view on the impact of development activity observed on marine wildlife in the region so far, and their expected impacts of daily super-tanker shipping through Foxe Basin. A second expedition in August travels to Steensby Inlet with a southern archaeologist and four families who have used and continue to use this region as part of their traditional hunting territory for 4500 years: visiting camping sites and ruins, walking the roads Inuit traveled to harvest caribou, wolves, arctic char and snow geese and collecting oral histories from elders who lived and hunted in the area as children with their parents and grand-parents. Footage from Our Baffinland will be presented on Channel 51 in Igloolik and community TV channels in other Baffin communities, and released in Spring 2013 as a ninety-minute film for theatres and a two-part mini-series for global TV audiences. Our Baffinland oral histories and storytelling, on the land travel and documentation, public hearing testimonies, related scientific data and background information will be georeferenced and presented in an interactive digital online Atlas that will facilitate a multi-media “geonarrative” for the overall project. This website will be produced in collaboration with Dr. Fraser Taylor, Head of the Geomatic Cartographic Research Centre (GCRC) at Carleton University, one of the world’s leading centres for interactive mapping combining geographic information systems (GIS), multimedia, video and other scientific data. This interactive Atlas of the region will be available online to the public, to schools in Nunavut and worldwide for teaching Inuit culture, language and history, as well as the current state of environmental regulation and review of natural resource development in Canada’s north.